Fire regime is defined as the kind of fire activity or pattern of fire that generally characterize a given area. 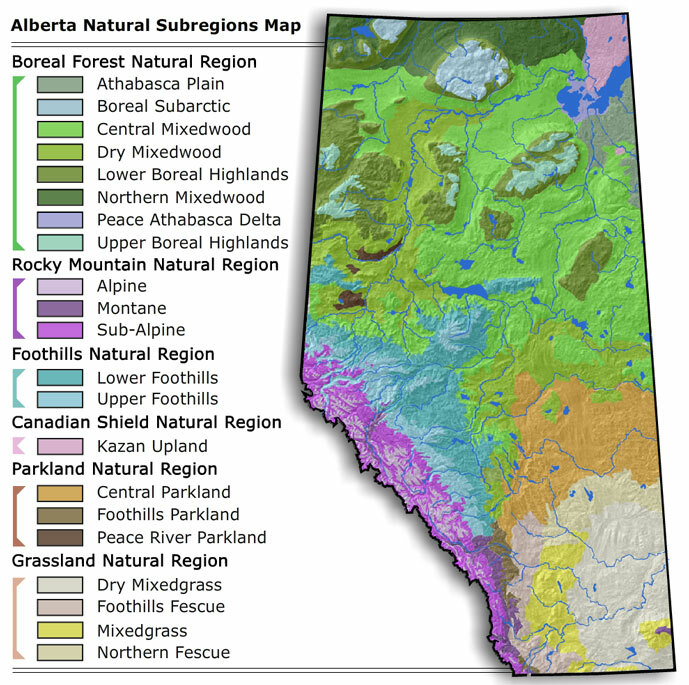 A fire regime analysis helps to evaluate ecological elements of wildfire. Combinations of components can be evaluated to identify areas on the landscape that are fire driven and fire dependant. The combined ground and above ground effects resulting from smouldering and flaming combustion on either a wildfire or prescribed fire site as manifested in various fire behavior characteristics (i.e., fire intensity, flame height and length, residence and burnout-times, etc. ), this is inferred after-the-fact from the fire impact(s). The class of wildland fire based on the fuel layer(s) involved in the combustion process (ground, surface, and crown). The probability, as expressed by a percentage, that a given area of flammable fuel will burn in a given period of time. The following figure demonstrates an example of a fire regime analysis output identifying areas on the landscape where fire may have varying levels of ecological benefit. 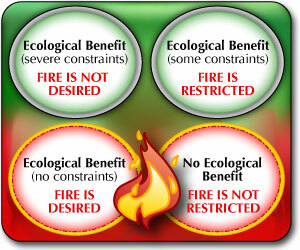 A link between a wildfire threat assessment and fire regime analysis is useful in determining the level and location of ecological constraints and benefit. A clear scope and understanding of objectives and outputs are required to best determine which combinations and number of components a person wishes to include in the fire regime analysis process.